Circa 1920. Winner: 2016 Top Ten Romantic Inns. 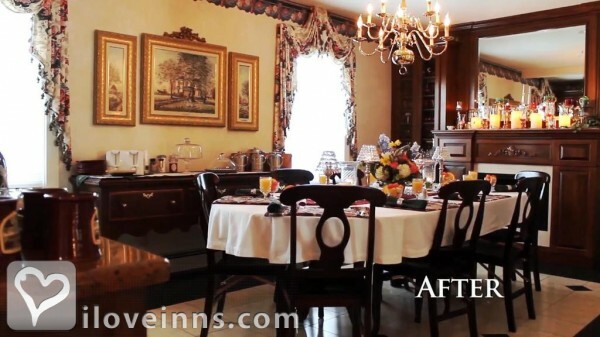 Stay at this luxury bed and breakfast in Grandville, Michigan. Spacious guest suites feature pampering details that include heated towel bars, heated toilet seats and tile floors, Jacuzzis, Fireplace, coffee makers, refrigerators, microwaves, CD players and VCRs. Special amenities are offered for business travelers in three suites that boast executive business centers. The European Shower Experience in three of the private baths has body massaging sprays, and has hand held shower heads. Evening snacks are available. full breakfast in the dining room or a deluxe continental breakfast packed in the refrigerator in your room plus cookies and baked goods. Swim in the heated outdoor pool with a waterfall, relax in the pergola's double slider, or wander the perennial gardens accented by a fountain. Special arrangements and personal services are gladly taken care of at Prairieside Suites. Payment Types Accepted Include Visa, Master Card, Discover and Cash. This property has 8 total guest accommodations with private bath, 8 with fireplaces, 8 with whirlpools and 1 conference room. The types of beds available include King. Luxurious spa rooms with 6 ft. oversized 2-person Jacuzzi tubs, fireplaces & King- size beds with designer linens. Prairieside Suites is reminiscent of touring the Parade of Homes or browsing Better Homes & Gardens magazine. Your bedroom suite will refresh and rejuvenate you by combining timeless design elements, great architecture, and some of the most innovative products available today. Each room is beautifully decorated and finely appointed while creating an atmosphere of warmth, invitation, and indulgence. The attention to detail shows in the many award-winning rooms that have been published in brochures and national design magazines. During the summer months, take a dip in the heated pool with waterfall, feast your eyes on the colorful perennial gardens and fountain from the double glider swing in the pergola, or bird watch from a hammock under the shady canopy of the inn's three hundred-year-old oak tree. In the winter, make popcorn and unwind in the comfort of your in room jacuzzi while enjoying a movie from the inn's library, featuring over three hundred titles. Two-night stay on weekends unless you are within 4 days of arrival and we have availability. At least "10 Days" prior to your scheduled arrival date E-mail cheri@prairieside.com with your "NEW" arrival date [we don't accept phone calls because we need a valid paper trail]. Your new reservation must be for the same duration as your original reservation and must be paid in full before moving your reservation. You'll receive credit for all payments minus a $20.00 processing fee. If you can't give us a new arrival date, we'll issue a "Prairieside Gift Certificate" which is valid for 5 years and can be used by you or gifted to whomever you wish. If your cancellation is received less than 10 days before your arrival, you are responsible for all room charges unless the room can be re-rented for the entire reservation. No-shows are charged for full reservation. No refunds for cancellations or early departure. Carraba's, Olive Garden, Red Lobster, Max & Erma's, Kobe Japanese Steak House, Logan's, Applebee's, On the Boarder, Oriental Forest Buffet, lot's more. The dates this property will honor the certificate are The dates this property will honor the certificate are Monday-Thursday stay one night, get one night free! Offer valid year round in Southern Mansion or Tuscan Villa. Discount reflected as 50 percent off per night. To book this online... Visit www.prairieside.com * Check availability * Enter arrival date & departure dates * Select Special Rates * Enter promo code iloveinns. This is our most requested relaxational massage. Drift away, relax and pamper yourself with this total body massage. Adds $100 per massage to room charges or $190 for a one hour side by side couples massage. Valid from 05/05/2016 through 05/05/2021. This massage comes with optional Trigger Point Method work on the back. This will greatly help you if you need to get knots out of your back and if you just want an overall deeper massage. Adds $100 per massage to room charges or $190 for a one hour side by side couples massage. Special for moms-to-be, this massage will help ease pain in the feet, lower back, shoulders and neck; which are the common painful areas for pregnant women. During pregnancy, the body goes under extreme changes and gentle massage greatly helps ease the transition. [due to health concerns, we cannot offer Aromatherapy with the pregnancy massage]. Adds $100 per massage to room charges or $190 for a one hour side by side couples massage. This is like an apple crisp but you\'ll fool everyone who eats it because it uses zucchini instead. Delicious! This dip is addictive! Watch out it\'s WAY GOOD! Fresh & warm with a touch of GOURMET!!! For the holidays garnish with a peppermint stick. Mmmmmmm! Perfection...lovely weather, the heated pool was the perfect temperature at 82 degree's, the Tuscan Villa Suite was exactly the right feel, everyone was pleasant and as sweet as cold be. I walked in Friday night as a stressed bride and today/Sunday I leave feeling like a whole different person. We're looking forward to adding a hammock to our backyard after enjoying the one here on our honeymoon. It'll be our way of taking a little bit of Prairieside Suites home with us. Cheri & Paul, Thank you both for the most amazing experience- I think we've ever had. So comfy & quaint. All the extra little details make this place "Over the Top"! My favorite was the heated toilet seat. We will always remember celebrating our one year anniversary here. What a special and wonderful memory. Thank you...thank you. We hope to rekindle and celebrate again next year. What a wonderful get-away we had! This was our first B&B experience and what a wonderful and relaxing birthday I had. The bed was comfortable beyond compare, the "Fresh Milk & Shea Butter" body wash & lotion were so amazing I bought some from the gift area to give as gifts. The staff was so friendly when needed and otherwise gave us our privacy. This is a beautiful place. Cheri's decorating idea's are on point! I will definitely be recommending Prairieside Suites to family and friends and plan to buy your gift certificates on your website as gifts. Keep up the great work of being the best in MIchigan. Loved it, see you next year. Thank you for your most gracious hospitality. Your B&B is amazing. This was our first time staying at a B&B and you by far exceeded our expectations. We desperately needed a getaway from all the stresses that we have had to experience this year. We are so grateful and thankful for time to reconnect relax and enjoy each other. This was a beautiful way to spend our 31st wedding anniversary and we'll leave rejuvenated. Thanks, again for your wonderful hospitality and your beautiful B&B. Terrific get away for us. Restoration and peace was achieved! Charming & luxurious---no dogs, noisy neighbors or jet airplanes. Just what the Doctor ordered! You have made this a truly magical place to retreat. What a perfect place to spend our first night as newlyweds. The room was beautiful & so clean. The bathtub was divine & the food sooo delicious. So much nicer than any hotel we've been in & weel worth the price. We will most definitely look forward to staying here again sometime. Maybe we'll have to try a different room! Thank you so much for a splendid weekend! What an amazing place! The place is gorgeous, clean and beautifully decorated. You have gone above and beyond in putting the most incredible details into this place. The food was amazing, the hospitality incredible, you sure aim to please. This was our bed & breakfast experience and you have set the bar really high, we will for sure be back. Thank you for a memorable weekend!!! Cheri & Paul, This is our "35th Wedding Anniversary" and 1st time staying at a Bed & Breakfast! We enjoyed our stay and have only one regret...that is was too short, we should have stayed 3 night! Thanks for a memorable stay! My husband and I had a wonderful time staying here at Prairieside Suites! Even though we love our kids, this was a nice break from them and from the hustle bustle of everyday life. Great food, great service and loved the whirlpool tub! Thanks Cheri & Paul, you do a wonderful job. We certainly enjoyed our stay here! You have a beautiful B&B. Wonderful breakfasts, we especially love the hot breakfast delivered to our room this morning. This will certainly not be our last stay here! We're sad to leave. Thanks Cheri and all your staff, everything was awesome!!! We enjoyed our time at Prairieside Suites. The staff and cookies were very sweet, The bed was divine and the Jacuzzi will blow your mind! We will be back as soon as we can, because this place has made up huge fans. First time away from baby. Cheri & Paul, This is our first time away at a B&B since our baby girl graced us with her life. She is one now and we really needed this time alone. We truly felt at home as soon as we walked in. Everything is so clean and we love our room, we could stay all day. Our 4th year anniversary was so memorable and we will be back to stay longer. Thank you for your hospitality and this beautiful experience. 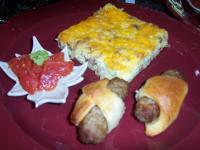 Breakfast was the bomb.com :-o) God Bless today & always. This is the most perfect and magical getaway. Everything is amazing. I wish we could live here. We will be back for sure!!! Wow, once again beyond our expectations. I know it may sound funny, but of of the things we liked most about his room was the color. Beautiful job. You guys know so well how to put things together, to make an for an unforgettable experience. Once again beyond our expectations, thank you for having this place. Thank you so much for making our night away a memorable one..We only live a few miles away but needed a nest from the hectic pace of school, work, etc....We felt as though we were in another world and truly enjoyed ourselves. Thanks so much, we appreciate everything you did to make this night special. Everything exactly as seen on the website. We celebrated our 3rd anniversary here. This was our first time ever staying at a Bed and breakfast. We will be returning. Everything was great and charming. My husband really liked the fact that everything was exactly as seen on the website. The breakfast was great. I wish we could have stayed longer. We remembered why we fell in love with each other. Thank you so much for the unique experience, we enjoyed staying here. It was everything and more than we could possible expect for a B&B. It was just what we needed for a quiet and peaceful getaway for the weekend. Unfortunately, we now have to leave and go back to reality. We do plan to come back hopefully in the near future. Everyone went out of their way to make our stay perfect and the food was also the best. Thanks again. Our first B&B and now we're so spoiled that I can't imagine EVER staying at any other B&B. I guess that's why Cheri themed each room so they're different from each other. You can have a "new experience" at the same place [over and over again]. Smart cookie, that Cheri. Everything was perfect, your attention to detail is amazing. We will tell all our friends and we will definitely be back [and stay longer next time]. This is our fourth annual consecutive visit staying several days at Prairieside Suites Bed & Bedfast and we can honestly say it was just as we had expected in the Tuscan Villa Suite. My wife and I have stayed at this establishment for the last fours years (2011 thru 2014), in different theme suites each year, as we always booked just to stay with Prairieside Suites to celebrate our Wedding Anniversary (43rd). We really appreciated the decor theme of this Tuscan Villa Suite and experience a first this year with a toilet seat that acts as a night light illuminating the water with a blue glow. There is a always a certain level of expectations that you expect when staying at a family establishment and experience certain amenities with a freshness away from your own home. We have trusted Cheri and Paul's professionalism to provide us their personal touch with a friendly welcome and they make sure that we feel comfortable like their own family member's. We are looking forward to staying here again next year 2015 and we have already decided to book the Bali Suite theme that is currently under construction. As always, the staff and innkeepers (Cheri & Paul) added their perfect touch of pleasing each and every guest with a very warm personal touch to make your stay a pleasurable experience. This is why I recommend everyone who reads our comments to give Prairieside Suites B&B a try if they are in the Grand Rapids, Michigan area as opposed to the corporate hotel scene. The Southern Mansion is wonderful, it is such a peaceful place to relax and enjoy some down time!! The over-sized whirlpool, fireplace, comfy king size bed, heated towel bars and toilet seats added to the luxury of our stay. The cookies were an awesome night time snack! The Southern Mansion is wonderful, it is such a peaceful place to relax and enjoy some romantic down time!! The over-sized whirlpool, fireplace, comfy king size bed, heated towel bars and toilet seats added to the luxury of our stay. The cookies were an awesome night time snack! Prairieside was absolutely amazing! We stayed in the French Riviera and it was luxurious, warm, and comfortable. When we arrived Cheri welcomed us and showed us around the site. Not only are the common rooms cozy, but they also have baked treats all the time along with homemade hot coco. The room was FANTASTIC! We enjoyed every second we were in there. Not to mention, breakfast was delicious and the entire staff was amazing! I'd recommend getting the couples massages and then exploring what Grandville/Grand Rapids has to offer. If you're looking for a relaxing, romantic getaway... I'd say look no further! Prairieside has it all! We not only got married at Prairieside Suites but also stayed the night of our wedding. Paul and Cheri so graciously opened their home for us so we could get married somewhere beautiful and memorable. It was perfect with the Christmas decorations. They were so hospitable and welcoming and made our wedding day perfect! If that wasn't enough then we got to stay in the most luxurious suite!! And we've stayed at other B and B's but let me tell you this one takes the cake. Talk about being pampered from the heated toilet seat, yes I said heated toilet seat and it was quite amazing. I would never think that this would be anything I would like but I was so wrong! The room felt like we were staying in a little slice of heaven. The hot tub was amazing so big and spacious. The snacks that were left in the kitchen made the perfect midnight snack. And if that wasn't enough the breakfast in the morning was a great ending to a beautiful weekend! The omelets topped with homemade salsa and the homemade rhubarb jam with the fresh fruit was sinful. Thank you Paul and Cheri for such a great start in our new life together as husband and wife!! You really went above and beyond anything we ever could of hoped for!! And we look forward to staying again someday. We have absolutely enjoyed our get-away at Prairieside Suites. The spacious Tuscan Villa is amazing, with a whirlpool tub, comfy bed, and many other wonderful amenities�even heated floors, towels, and toilet seat in the bathroom! Our hostess, Cheri, thinks of every little detail, and you must try the homemade hot cocoa available right in your room. Our breakfast was the perfect start to our day and cheerfully prepared and served by Victoria. We highly recommend Prairieside Suites and wish Cheri and Paul a happy and prosperous new year! Neal and I thoroughly enjoyed our stay in the English Cottage. The room was perfect, the food was great, the staff pleasant and you and Paul are tops in our book for making us feel very much at home. We especially enjoyed sitting outside of the room enjoying the view of the beautiful gardens that I know you so lovingly prepared and take care of!. We are glad we had the week with you in Michigan before we had to tackle rebuilding and cleaning our home! We really enjoyed ourselves! Brian was really impressed with Paul�s handy work! I was bragging about you to my friends as well as to my sister who loves B& B's. She was going to check your website out. Your staff was just wonderful! VERY friendly and accommodating. I would really like to come in the spring. Brian even said the same, so we may see you then! After all, we want to see the "new" addition your �Santa Barbara Beach House� suite! I hope you have a very happy holiday. You two are definitely special people and love what you do! Thanks again for a very relaxing, enjoyable two days! Thanks for being such great hosts [lot's of privacy] for our Holiday Weekend Getaway. Your B&B is really beautiful and a great setting for a romantic time away from home. The food and accommodations were perfect. We chose Prairieside Suites because of your internet rating and awards. We will definitely tell people about our stay and hope to return again soon. Cheri, I wanted to thank you for the very special time we had at your home in the Spanish Hacienda!! We enjoyed this very romantic room, our massages were great, and especially looked forward to the wonderful breakfast and sweet treats!! Victoria is a gracious host and made us feel very welcomed. Prairieside was the perfect place for my wife and I to get away to before the Holidays! The French Riviera Suite was very "home-like" and we loved the extra's. Breakfast was perfect & we appreciated the special accommodations because we had to leave early on Saturday. Prairieside Suites offered comfort, pampering and we appreciated their attention to details [the heated toilet seat-awesome surprise]! I could go on and on about the amenities at this B&B, but they are all listed. Cheri takes great care in every detail. And the accommodations are Luxurious! So this is what I want to know, "Why aren't there more B&B's like it?" I have stayed at several B&B's and I always leave wishing I had just gone to Prairieside. I hope Luxury B&B's become a trend in the years to come and until then I am going to request that PSS starts a "Punch card Program" for frequent customers. It will be the only Romantic and Girls Weekend destination for me. :-) On a side note, it's fun just to open drawers just to see what she has "just in case", for example; fly swatter!? umbrella!? I can't sleep if a fly sneaks into my room! And Cheri already thought of this! Beautiful rooms, very romantic, great food, and the most comfortable bed I have ever slept on. A superior getaway, with friendly and courteous inn keepers ans staff. Exceptionally decorated and laid out. We will be back. Prairieside Suites is an amazing Bed and Breakfast! Such a quiet and romantic honeymoon!!! WOW! The rooms are incredible. The feeling you get while you're here is a "Home Away From Home". It's the perfect setting. We are going to come back for years to come. Very relaxing! There are so many perks to staying here. Not only does it feel like you're in a world of your own but there are so many attractions as well...and the rooms are so well thought out. We stayed in the "Southern Mansion" and plan to return and check out all the other rooms! Most B&B's have one or maybe two rooms that are really special. This B&B makes every room extraordinarily charming. The attention to detail is impressive. This was my first B&B experience and I absolutely loved the stay, the room, the food, and will be recommending "Prairieside Suites Luxury B&B" in the future. A wonderful overall experience! From the staff to the suite! We will be back again! Ten Stars! We really enjoyed our stay. This was recommended to us and it was a great recommendation. It was a wonderful way to celebrate our anniversary. The B&B paid close attention to details and it was very relaxing. Our stay @ "Prairieside Suites" was WONDERFUL!!! My daughter and her fiancee booked their honeymoon for 4 nights at Praireside Suites and paid in full. Two and one half weeks before their wedding her fiancee lost his job. They decided they should save as much as possible by staying at a less expensive hotel, since it is uncertain when he will find employment. More than 2 weeks before their reservation they sent a cancellation notice to the innkeeper, Cheri, at Prairieside Suites. They requested a refund for three nights stay, minus the $20 processing fee and stated that they would stay one night at a later date per the cancellation policy. They were told that they would not be given a refund, but they could move their 4 night reservation date! Apparently they do not follow their written cancellation policy. Guests be wary of making an advanced reservation, and by all means do not pay in advance. From the Innkeeper Cheri: Yes, this is true. Remember �We are NOT a 300 room Hotel. We are a small 5 room luxury bed and breakfast, devoted to our guests�. We saved our best room for 7 months on a Holiday Weekend for their honeymoon. Our Cancellation policy is listed on our website, on each page that displays our rooms. On our online reservation page, then it�s emailed with our confirmation and here it is again� CANCELLATION POLICY-Your payments, minus a $20 processing fee, are credited toward your next stay if cancellation is received 10 days prior to your arrival for guest rooms. E-mail your new arrival date to cheri@prairieside.com [we don�t accept phone calls because we need a valid paper trail]. Your new reservation must be for the same duration as your original reservation. If you cannot give us a new arrival date, we�ll credit your payments onto a �Prairieside Gift Certificate� for future use. If your cancellation is received less than 10 days before your arrival-you are responsible for all room charges unless the room can be re-rented for the entire reservation. No-shows are charged for full reservation. No refunds for early departure. Concerned about Cancelling? When you book online you have the option to include travel insurance to protect you in case it becomes necessary to cancel at the last minute. It is our intention to make your stay a memorable one and these terms are necessary for the successful management of our small inn, devoted to you, our guests. Luxury is the perfect word to describe this amazing B&B! Rooms were beautiful & the owners, Paul & Cheri, made us feel at home. This was the most wonderful place to celebrate our first wedding anniversary! This was the most romantic place we have ever stayed before. It exceeded our expectations. Cheri & Paul are the sweetest hosts. The food, service and amenities were absolutely fabulous. We can't wait to come back again. We highly recommend this B&B. The amenities were wonderful. Hot cocoa, cookies, beverages-always available. The beautiful rooms so comfortable and meeting every need. And the breakfast was 4 star! Just what we needed-to get away from the pressures at work and rediscover each other. The friendly folks always made us feel at home-Great! Cheri, I just wanted to thank you for a lovely weekend. Paula and I really enjoyed our stay and couldn't have asked for anything more! You really know how to spoil your guests, and I enjoyed our little chit chat on Friday evening. We will definitely be back as guests again in the future and I will let my friends and family know about Prairieside Suites. Absolutely wonderful room & service. What a great way to begin our new life together as husband and wife. Our room with 2 person jacuzzi tub and fireplace was awesome. The staff & breakfast were excellent and so friendly but we still had lots of privacy. The Innkeeper and their staff made our stay incredible! They have a beautiful home. We felt so comfortable and welcomed we didn't want to leave. I have told all my friends what an amazing place "Prairieside Suites" is and we will definately be back! I enjoyed my stay! I would recommend this B&B to anyone who is looking for a romantic get away! Large two person jacuzzi a definite PLUS, expecially to my tall sweetheart!! Food and staff is wonderful. They set everything up so all you have to do is focus on the romance! Excellent stay with warm amenities...[warm towels, warm tile floor, warm jacuzzi, fireplace & warm toilet seat]! Friendly and professinal atmosphere. Very personall staff & owners, yet lots of privacy. We never stayed at a B&B before,the hospitality of the innkeeper and staff were perfect! Breakfast was great! We loved the design style of our room "the Spanish Hacienda", the attention to detail and all the wonderful features. We stayed in the Southern Mansion Suite and every possible comfort was provided, we were impressed by the website appearance but the room was even better. The staff and innkeepers were excellent during our entire stay. Breakfast was so wonderful that we, of course, ate too much. We could not stop ourselves! This B&B was very peaceful, offers many more comforts than home and boy did we enjoy the amenities. We stayed in the English Cottage and the room was wonderful, private and the bed was so comfortable. We chose this B&B because all the great reviews made it a sure thing. The hospitality by all the staff was wonderful. They really went above and beyond. This is an amazing place! Cheri,Paul,and their staff made us feel so welcomed and comfortable.It was so much more than we expected!Everything we wanted was waiting for us. This was the most romantic weekend. We did not want to leave.We have recommeded it to all our friends and we will definately be returning! For our romantic Valentines day getaway, my husband and I stayed in the Spanish Hacienda. The room was beautiful, so cozy and quiet. The whole house was perfect, and again so beautiful. The service/staff was wonderful, very kind and attentive to every detail. Our breakfast was so delicious! (Thanks to Cindy!) Cheri and Paul, keep up the great work, we hated to leave! We will for sure return! Thank you again for fulfilling our romantic getaway!! This place is so beautiful and wonderfully peaceful. It's a great place to get away from the everyday! My husband and I loved everything. The room with BIG 2 person whirlpool tub, heated towels & toilet seat [wow], beautiful bed, loved having coffee/tea/hot cocoa right in our room. We made popcorn in our microwave in our room to go with our free movie from their library. Breakfasts were a delight and, of course, we enjoyed the hospitality. Thank you for a wonderful unforgettable weekend! We'll be back to see you again. This inn was delightful. All the details, large and small were covered. We couldn't have picked a better place for our getaway weekend. Although Prairieside is very warm and comfortable and has great amenities, their food could use some tweaking. Scrambled eggs, (not much meat if you are a hearty meat eating person!) same fruit every day, french toast, bagels aren't really anything overly special. We have stayed at other B&B's with crepes, fruit-yogurt-granola parfaits, warm homemade cookies, chocolate covered strawberries, hors d'oeuvres, etc. Storebought cookies and cake don't really do it for us. That aside, the amenities are great, room was very pretty and nice - almost spotless (one hair in tub-yuck). You can still hear house music in your room even if you mute it and traffic noise was bad in winter, so be careful in summer if you want peace and quiet. People friendly and warm, room was beautiful, heated towel rack great. The staff was wonderful. Breakfasts were amazing. The Southern Mansion room was terrific. The bed, jetted tub, heated towel bars/toilet seat, and all the other hospitalities made this stay the #1 spot on our list. Thanks so much for a great weekend away. Romantic Room blew us away! Our room was romantic, beautiful, luxurious, charming and really clean! We were impressed by their amazing hospitality and their staff was the best. Breakfast was awesome, we loved everything about our stay. Romantic first time B&B stay! The Tuscan Villa was more than we expected! They thought of every little detail. Our stay never missed a beat on everything and anything that we would need or want. Breakfast was awesome. We loved the staff, the food, the room and I would come back in a heart beat!!! This place is so beautiful and wonderfully peaceful. Its a great place to get away from the everyday! My husband and I loved it from the room, the food & the hospitality. Thank you for a wonderful romantic weekend! We'll be back. What a blessing it was to spend our 24th wedding anniversary at this lovely B&B! Thank you for all your special touches-big and small. We will certainly recommend Prairieside Suites to our friends when they are looking for a getaway that is "a cut above". This place is a terrific place for a romantic getaway. The room is gorgeous. The attentions to detail is spectacular. The location is great for day trips to Saugatuck, Holland and Grand Rapids. The amenities, [heated everything, fireplace, jacuzzi] are wonderful. Cheri and Paul are wonderful hosts, make you feel at ease, at home and know how to spoil you. Thank you so much for a wonderful time. We truly enjoyed it! What a way to celebrate our 7nth Anniversary. We have 2 young boys at home [4&1] so we are constantly surrounded by chaos. The Tuscan Villa was such a quiet, romantic, pleasant retreat! The heated toilet seat was a nice surpise everytime I sat down! My husband really enjoyed the massaging shower after a stressful drive due to bad weather. The homemade cocoa was definitely a hit with us. Thanks for the great experience. Romantic escape from the kids. Their rooms are fantastic. We enjoyed the fireplace, the jacuzzi, the heated toilet seat, heated towel racks, the jet body spray in the shower! The details, lighting & many small details that added to a relaxing atmosphere. I fell in love with the hand made shampoo. Phenomenal...and the quiet. It was so peaceful. We felt truly in our own world and that is where we wanted to be. A perfect getaway from our kids. Cindy's omelettes were great too. This place is wonderful! We loved our stay so much. My husband raved about the denim bedding [I guess it took away from the girly frill that some places have] and breakfast was great! The whole feel of Prairieside is like visiting a relative or going home. Staying here was a great way to celebrate our 25th Anniversary. Thank you for your warm hospitality and may God continue to bless you, your business and your family. Prairieside Suites was just what we needed for a romantic getaway. Cheri and Paul were gracious hosts. The breakfasts were delicious and the room was fabulous. We stayed in the "English Cottage" room and it's so cute and had everything we could possibly want. Cheri does a great job packing so much into each of her rooms. We received a gift certificate and like staying at B&B's and enjoy meeting people. The staff and innkeeper were very friendly and we appreciated how clean everything is. Breakfast was top notch, this is the best B&B we have stayed at yet. The room had so many amenities! When your at Prairieside Suites make sure to walk over to "the Rainbow Grill" restaurant. The meals are very reasonably priced and their homemade deserts are wonderful! We chose a bed and breakfast instead of a hotel because we were looking for something different and this one looked amazing. Each of their rooms have whirlpool tubs and fireplaces. Our room the "Tuscan Villa" was beautiful but masculine. We had a shower that had 2 shower heads and 3 body spray jets-WOW. Our vanity had a sink that sat up on the counter like a bowl...really cool. I wanted something romantic but not flowery [I wanted my husband to be comfortable too]. The staff was very personable but also gave us our privacy. We had a very large delicious breakfast. We loved everything about the place. Everything about this place is lovely. Cheri had everything we could have wanted in our room. We loved the jetted shower, heated bathroom floor and can you believe they had a heated toilet seat! The rooms are so much nicer than anything we would find in a hotel plus they have a very warm, kind & friendly staff. Everyone made us feel very welcome and breakfast was very good. We were given a gift certificate as a Christmas present and WHAT A GREAT GIFT IDEA it was! I think I will give my wife one this year, it's like giving myself a gift too. This was an absolutely goreous, cozy and wonderful place to stay. Their staff and innkeeper were very polite and kind. They went over and above what they needed to do to show us hospitality. We had a big wonderful breakfast and look forward to returning. This room has so many special touches, its beautiful, comfortable and peaceful! We had an extra deep two person jacuzzi tub with columns sitting on a granite tub deck and an antique crystal chandelier above. Very peaceful! They have such an excellent website, it showed me everything I was looking for and conveyed a friendliness even online...and when we arrived the staff was excellent and made us feel right at home. Breakfast was excellent with lots of variety. We stayed for two nights in the Spanish Hacienda. Prairieside Suites went above and beyond our expectations! A really lovely place. To Cher [Master Gardener & Brilliant Hostess] To Paul [Master wood Artisan] To Cindy [Domestic Goddess] Thanks for the tremendous get away! We've had a very relaxing and romantic stay. You have a magnificent home and have succeeded at making your guests feel like royalty. What you have given us is truly priceless. Dave & Holly, from Holly, MI P.S. This was our first B&B experience. I fear we are forever spoiled for any others! Guess we'll just have to come back again and again! Cheri & Paul but mostly Cindy, You made our first stay at a B&B as a new husband & wife very special. We were both impressed with all aspects of the room. Audra enjoying the crystal candle holders & the whirlpool & I loved the jetted shower, the food and the bed [that was real tough to get out of]. We would like to thank Cindy personally for the five star service and for the delicious breakfasts! Also, for the tours of the rest of the guest rooms combined with everything else we will always recommend Prairieside Suites to everybody and look forward to our definite stay in the future! This was an excellent place to stay. The food was amazing and our room was very romantic. We really enjoyed our stay. The two day stay exceeded all my expectations, the room was outstanding and the service superb. Everything you need for a romantic weekend is here! Romantic and too good to be true! The room was perfect, the pool exactly the right temperature, beautiful weather and flower gardens! Everyone as pleasant & sweet as could be. I arrived sleepy & stressed and today I feel like a different person. I highly recommend and can't wait to return for another romantic get away. The room was very relaxing with large corner jacuzzi, jetted body massaging shower and king size bed. Thank you for seeing to it that our weekend get away was everything we had hoped for! We will definitely pass the word on...keep up the great work! My husband and I had a wonderful stay. The staff was so pleasant and personable. The room was romantic and cozy with just the right amount of personal touches. We hope to plan our next stay soon!!! Our room was exquisite and cozy. The service was outstanding and made our stay incredible. It was a great weekend, full of relaxation and rest. Very homey yet still luxurious. I would recommend to anyone I know! This was like a home away from home. We could be romantic and relax just by the ambiance of the room and the home. Everything was picture perfect and also practical and fun to discover. Would surely recommend to others. My stay here was exceptional. I have never experienced such a breath taking place in my life. I will recommend this bed and breakfast to family and friends. I slept like a rock, their king-size beds are amazing and custom made for them! Beautiful home [not just our room], felt down to earth and I sure didn't want to leave. My room was exceptional. Every detail was perfect. Highly recommend to all. Great food! Sweet, friendly, genuine staff. Very home-like, confy & inviting! No detail was left unnoticed! I Can't wait to return! This place was a phenomenal way to spend our 8th anniversary! We had one hour massages and then soaked in the two person jacuzzi tub...HEAVEN!!! The decor is splendid in our room and the whole house. We will be back! This is a Gorgeous B&B. Very romantic. Cheri & Paul have thought of everything. I would definitely recommend this place & would love to come back again. Everything was lovely & Romantic. Cheri had everything in the room we could have wanted. The staff was friendly, kind & warm. Everyone mede us feel very welcome. Breakfast was great. We loved the jetted shower, heated tile floor and heated toilet seat! Stay here again...YES I didn't want to leave! Cheri sure has the designer's touch - she thought of EVERYTHING and put so much into a small space. The room, the surrounding areas outside, the staff, the comfort we had and the food to die for. Everything was perfect and we had a very romantic 2-day stay. Can't wait to make another trip to this wonderful Bed and Breakfast - for me it was the BEST B & B I've stayed at. Thank you Cheri and Paul for such a nice time spent at your home. An outstanding four nights! My husband and I had been busy going in different directions and Prairieside gave us the opportunity to relax, refresh, and spend time together. Ahhhh...I could get used to this! Tuscan VIlla room was perfect. We came for R&R and certanily got it ! Thank you for all of the amenities and hospitality. I had a wonderful stay. The room was well equipped. Very clean, very comfortable. The owners have thought of everything. Enjoyed my stay. Much better than a hotel room!! Our romantic getaway weekend was a truly outstanding one. We would highly recommend Prairieside Suites for its hospitality, excellent breakfasts and thoughtful details. Our suite exceeded our expectations for comfort and relaxation. Its amenities made us feel pampered. We stayed at Prairieside Suites for our 11nth Anniversary. It was perfect. Nice people. Romantic getaway for two. We'll come again!!! We stayed in the very romantic "Tuscan Villa Suite" and it was perfect. We chose a B&B because we like what we saw better than the hotels. The hospitality of the innkeepers & staff were wonderful. Breakfast was delicious! Everyone made us feel very comfortable & we felt at home. This was our first time at a B&B. We stayed in the "English Cottage" and the room was perfect and cozy with lots of amenities. The owner Cheri was very friendly, warm and accommodating. The home is beautiful and the grounds were lovely too. This was our first time at a B&B, we stayed in the "Tuscan Villa" and the room was more than we expected! They thought of every little detail. Breakfast was awesome. The staff never missed a beat on, we had everything & anything we could have wanted. I loved this romantic room & would come back in a heart beat!!! We stayed in the "Southern Mansion" suite, it was romantic and much more beautiful than any Hotel room. We were very pleased with breakfast. B&B's tend to make more memorable getaway's. We will be back and will recommend to our friends & family. Right from the start we were impressed with Prairieside Suites. The price was reasonable & the website portrayed a place that was warm, friendly & looked beautiful. Our romantic room the "Southern Mansion" has everything you could possible want or need. The staff was awesome, friendly, warm & hospitable. It felt like our own private little getaway even though others were there too. We enjoyed all the personal touches in the "Tuscan Villa" suite, it was very comfortable, romantic & warm. It looked very appealing on line and was fantastic in person! This was our first time at a B&B. We felt the hospitality was excellent and we still had lots of privacy. Prairieside was a beautiful place for our weekend away. Everything was thought of. The room with it's double whirlpool tub was very romantic. The breakfasts were delicious. The place took my breath away...it's beautiful and romantic, the food is delicious and the innkeepers were amazing! Great stay. Great Getaway with very nice amenities. Extremely romantic I would definetely recommend. What a romantic relaxing honeymoon. This B&B has made our getaway extremely enjoyable. The jacuzzi, fireplace and european shower is magnificent. We definately recommend it and we look forward to seeing the new additional rooms [coming in May]. Paul & Cheri have the gift of design and they know how to implement it. Sooo Romantic, we had an excellent stay. Everyone here was too nice and kind! Five stars...we highly recommend. This place is just amazing. This was the perfect getaway for our anniversary. The owners were so friendly. We truely felt like we were at home, but with the amazing service. Romantic & Amazing. Every little touch was perfect. There were countless thoughtful touches, even heated toilet seats and a huge comfy king size bed. Everything was great, I can't wait to return. The "English Cottage" was very comfortable with many extra perks rarely found elseware. It was a very romantic anniversary gift. The staff was outstanding, breakfast was excellent, also, prepared and presented in a very appealing way. We stayed in the "English Cottage" for my husbands birthday. The room is beautiful and we loved it. The innkeepers & staff were very nice and the breakfast was great. We were there in September and they have beautiful landscaping and flowers too! Our stay was one of the most relaxing and enjoyable ever! Great atmosphere-Great time. This place is heavan on Earth! From the heated floors; heated towel racks & heated toilet seat, the fireplace, oversized whirlpool tub, dual European jetted shower. Wow, this room is truely heaven. This beautifully decorated Italian inspired room was so relaxing & quiet. The staff was very personable & the breakfast-incredible. A luxury stay at a resonable price. I will rmember these last few days forever. Great romantic place for relaxing, lots of special little touches. Your every need is meet! Awesome breakfast. Very special place, we'll be back! They thought of Everything!!! Clean and updated facility. Private & Romantic. Couldn't ask a greater experience for our honeymoon. Excellent area for fun things to do as well. Great Staff & Owners. The Hospitality and theme of our room made me feel like I did when I proposed to my wife. A perfect stay in every way! We stayed in the Tuscan Villa and this room was delightful and the innkeepers were even more amazing. Well worth another trip for a romantic getaway in the future! We loved all the personal touches in the room. It was very comforting and warm. The whole house is beautiful. What a great romantic place to leave the world behind! So many details & amenities to enjoy! We'll be back soon and recomment to our friends. Beautiful room, Great Breakfast, thanks for a good relaxing weekend. Everything was outstanding! The rooms were impecably clean with wonderful service. Everyone was very friendly and willing to go the extra mile without being overbearing. The jetted european shower and heated tile floor, towel bars & toilet seat were the best! What a romantic room-we felt very at home right from the start and this home is really wonderful. Our room was filled with lots of amenities, we loved the heated towel bars & toilet seat. Great Breakfasts, they really anticipated our needs. What a beautiful romantic place this is to stay. Everything was great, we felt right at home from the start. Our room was fantastic and very clean. We loved our massages and can't wait to return. The Prairieside Suites Luxury Bed and Breakfast was a fabulous place to stay. I recommend the Southern Mansion as it has everything you need to relax and get away. You will want to return after your experience Prairieside Suites! This very beautiful home has comfortable surroundings and is really clean! A great place to get some R&R, our room was very romantic and the hospitality was wonderful. We will be back! Thank you for sharing your gift of hospitality. May God Bless you! I felt really pampered with all the luxury amenities. Great Stay! I would highly recommend this romantic B&B to others. We had a fantastic stay in the "Tuscan Villa" suite with king size bed, a perfect whirlpool for two with a fireplace. The room was spotless! We enjoyed our european jetted shower with 5 ways to get wet! Then stepped out to reach for a heated towel...while standing on the heated floor! This room even has a heated toilet seat! We loved it all and highly recommend. We were here for our 20th Anniversary & stayed in the "Southern Mansion" suite complete with king bed, whirlpool tub for two and fireplace. We loved it all and can't wait to return! We were here for a get away and stayed in the "English Cottage" room with king bed and private entrance. It was very romantic and very clean. We felt like royalty enjoying full breakfast in their beautiful dining room. We stayed in the very romantic "Southern Mansion" suite which is beautiful and has everything you could possibly need or want. The price was reasonable & the innkeepers were awesome- warm, friendly & very hospitable. It felt like our own private little getaway [even though others were here]. It was quality time together and everything was very nice. We stayed in the "Southern Mansion" it was beautiful and had everything. Things we wouldn't have thought of...they did! We wanted to be pampered and we were. Great friendly staff available to answer questions and help. We had a quality, wonderful breakfast that tasted great. Then we wnt to our room and we felt like it was a haven! We knew the innkeepers were there if we need anything but otherwise we had our privacy! Can't wait to return. Everything about our stay was incredibly romantic. There was a whirlpool tub for two (with colored lights in the tub!) and a fireplace for ambiance. There was a European jetted shower for two. The linens on the incredibly soft king size bed were luxurious and the room decor also lent to the romantic feel. 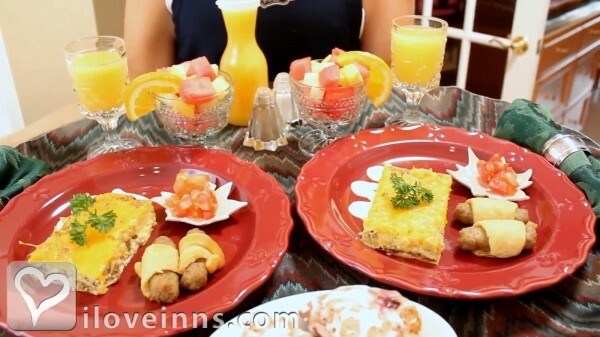 The breakfasts in the common area were fabulous and you can also choose to get a continental style breakfast (with plenty of food) in your room for those mornings you want to stay in. We will definitely be back! Wow, we enjoyed our stay, everything was beautiful and very ROMANTIC! Service was wonderful, this whole house is fantastic. We would definitely stay here again. The attention to detail sets this B&B apart from all the others. Our room was luxurious and ROMANTIC. It exceeded our high expectations and we hope to make this a Holiday Tradition. The beautifully detailed luxury B&B has the most relaxing and inviting atmosphere...Our room was amazing and the time spent here was priceless! Thanks you for an experience to remember! This B&B is beautiful! The staff is great and we had a wonderful breakfast in their lovely dining room flanked with large China cabinet on one end and fireplace on the other. 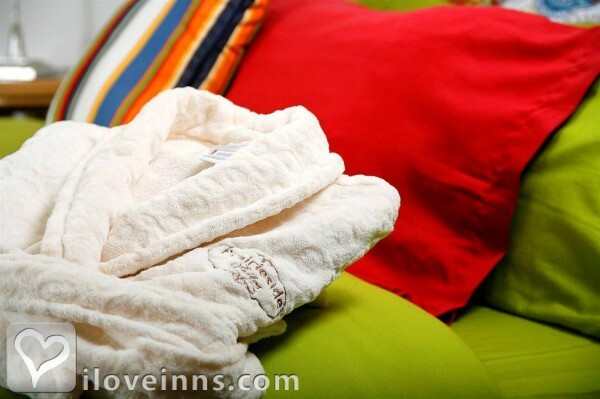 We think B&B's tend to make a more memorable getaway than staying in an impersonal Hotel room. We stayed in their "Southern Mansion Suite" [look at the pictures] it was luxurious and romantic. We'll be back and recommend them to our friends! This Bed and Breakfast was amazing! It was so romantic and relaxing. I can not wait to return. This place is a piece of heaven on earth. Also the owners are just wonderful. Our luxury suite had a king size bed, 6ft oversized whirlpool to two, fireplace, pair of overstuffed reading chairs, private table for two, heated towel bars, heated fog free mirror and even a heated toilet seat!!! Luxury all the way...It was our first time at a B&B and our room was fantastic. You have to look at the pictures of their romantic spa rooms. I felt right at home immediately, enjoying the homemade cookies & pie. Excellent place, keep up the good work. Our room had a king size bed, two person whirlpool, fireplace, seating area plus beverage center right in our room. This B&B was amazing! It was so romantic and relaxing. I can not wait to return. This place is a piece of heaven. The owners are just wonderful. Our spa room had a king bed, large 2 person jacuzzi, fireplace, pair of cozy reading chairs, table for two, heated towel bars, heated fog free mirror and can you believe this a heated toilet seat. Plus a wine chiller with stemware, microwave with popcorn, refrig with cold pop upon arrival, there was even cookies & pie available for us anytime. I'll be back. For our first time at a Bed and Breakfast, we were blown away by the luxury, comfort, and kindness of the inn and its hosts. Wow! Far and away the most relaxing anniversary we've had. The accommodations were beautiful, the food filling and fantastic, and every detail was well thought of and in place. We'll be recommending this to many friends!! Christina F.
A very quiet and Romantic setting. Very clean. Breakfasts were wonderful. Staff very personable and a pure joy to talk to. You only need to look at the pictures to see how luxurious these romantic spa rooms are! Oversized 6ft jacuzzi's, fireplaces, premium king size beds, gorgeous decor & linens, heated towel bars and toilet seats!!! I could definitely LIVE here! The Innkeepers Cheri & Paul & their staff were wonderful, we felt immediatelely welcome and comfortable. Full breakfast in their beautiful dining room was fit for royalty. This is our best place [ever] to hide out and escape, we'll be back soon. The Southern Mansion is wonderful, such a great experience! The Innkeepers were very kind and accommodating. We felt instantly comfortable and right at home. The whirlpool tub was so relaxing and our comfy large king size made us feel like royalty. The location is close to shopping malls, restaurants and movie theaters. What a wonderful experience! My husband and I recently stayed at Prairieside Suites and have only good things to say! We had the pleasure of staying in a most romantic room - the Tuscan Villa. It was just as the pictures showed - beautiful decor, wonderful amenities, and a comfortable bed. Everything we needed, wanted, or forgot was there for us! Cheri and Paul, the owners, also added to the great experience. They were very pleasant and fun but also showed respect for our privacy (sometimes hit-or-miss with B&B owners). Breakfast was a delight! Fresh made-to-order omelets, homemade salsa, scones, fruit - the works! The formal dining room was also beautiful and added to the experience. Overall, we had a very relaxing stay at Prairieside Suites. We hope to return in the summer in order to enjoy the beautiful landscaping and outdoor pool. Highly recommended! Thanks so much for the unique experience; we enjoyed staying here. It was everything and more than we could possible expect from a B&B. Just what we needed for a quiet, peaceful weekend getaway. Unfortunately, we have to leave and go back to reality. We do plan to come back soon. Everyone here went out of their way to make our stay perfect. Thanks again, Ken & Gwen from Freeland, MI... P.S. The food was the best! The Southern Mansion totally exceeded my expectations of a B&B. I was amazed and my wife loved spending her birthday here. She said; this is a place you can go to relax and enjoy the peaceful and beautiful surroundings. A very unique and wonderful getaway from the normal stresses of the weekly work routine. It was a refreshing & rejuvenating escape to have some alone time in an unfamiliar setting that welcomed us and made us feel right at home. The owners, the staff & the facilities at Prairieside Suites are all wonderful, warm and inviting. The rooms are well decorated and thought out. The owners and staff are a joy to talk and visit with. I can't tell you enough how wonderful our weekend was. Harold and I really needed the time together and everyone there made it even more perfect. Please send a special thanks to Cindy and Victoria. They are very special ladies and went out of their way to make us feel at home. I hope to come back next year. Wonderful Romantic Bed & Breakfast. From the amazing breakfast and hot cocoa to the beautiful suites. Prairieside Suites is the best B&B my husband and I have stayed at. Top of the line, no details left out. A beautiful place to stay! This was the most awesome experience for my wife and i on her birthday weekend i had no idea how wonderful it could be to stay at a b&b candles by the Jecuzzi and right down to the heated towel bar. There was this light outside our window that we asked about and Paul had it go off earlier i was amazed. The breakfast was out of this world. So if you do not go here you are really missing it. Back in March my wife surprised me with a weekend out of town for my birthday. She was not familiar with the area, but the website made Prairieside look pretty good. She booked the extended checkout, a massage, chocolate covered strawberries, and cheesecake. We tried cancelling the massage package many days ahead of our arrival with Cheri, but she would have nothing to do with that. She hung up on me a few times when I pushed her to reconsider. She told me their policy was to not give refunds, but there policy only covered the cost of the rooms (which I completely understand). Well, we drove in and could not believe where it was located....in the middle of small neighborhood off a busy road. We almost did not even check in, but we decided to go and give it a chance. Well, as we figured, Cheri wasn't there. We checked in and were shown our room on the lower level. Yes, the "lower level" or as everyone else with a basement calls it "the basement". All the guest rooms, as far as I could tell, are in the basement. We went in to the room, and checked it out. It smelled like a basement room would smell. The toiletries must have been left there by previous guests or Cheri was using the bathroom in our sweet basement suite. We decided to forego the $500 plus expense for our delightful getaway in Cheri's basement. On the way out we did eat the strawberries, which were awesome. We grabbed our $25 wine which I am guessing she picked up at Walgreens for $4. She was so thoughtful that she got wine that didn't need a corkscrew...very courteous. We grabbed the frozen cheesecake and left the room. On our way through the kitchen to the front door we grabbed some vending machine quality cookies which we disposed of promptly. We went down to the JW Marriot in downtown Grand Rapids (where in the parking ramp we disposed of the frozen cheesecake), had a great dinner, awesome room, drinks, wine (with a cork) all for much less than the charge at Cheri's basement. We had a great time!!!! While, I will bet another $500, that Cheri will post something like "you can't make everyone happy". I am willing to bet that she doesn't make anybody happy with their stay in Cheri's basement. Some of the reviews must be from Cheri herself, because the basement experience is not that great. If you are looking for a place to stay in Grand Rapids area, check out the Amway Grand or the JW Marriot. They won't put you in the basement. Downtown GR is great. Your wife was very sweet and was really looking forward to surprising you with this gift. We have 3 guest suites on the main floor and two on the lower level. Our lower level guest suites have 4ft wide daylight windows plus we have a air handler and air purification system. Check out these fully remodeled rooms...see "French Riviera" & "Spanish Hacienda" on our website @ www.prairieside.com and judge for yourself. These Romantic Spa Rooms include: Whirlpool tub, Fireplace, King Bed with luxury bed linens, Private Bath [Hair Dryer & robes], showers or European shower with jetted body sprays, heated towel bars, heated toilet seats, AC + ceiling fans, free Wi-fi, CD Player, TV/DVD/VCR/cable, Coffee Maker, Refrigerator & Microwave all in your private suite. We also have a Music & Video library on site. Rates include full breakfast or continental breakfast choice, plus our homemade hot cocoa, cookies, tea; coffee & baked goods are always available. I feel that we're in the love business and "I feel privileged to be able to provide the perfect setting for our guests to celebrate any special occasion." I understand that our guest have many choices of places they can STAY, when they�re here with us our goal is to deliver an EXPERIENCE and really build a lasting memory! Wow, your warm bubbly personality and friendly staff make our stay at your Bed & Breakfast outstanding. We had a great time celebrating our 40th Wedding Anniversary with you. Thank you for the personal touches that we will have memories forever! Thanks for the departing hug and the friendship that has now begun. Hope to see you again and soon! If not this place will help you out. This place is in the perfect location, plenty of nearby attractions and restaurants. Cheri and Paul thought of the smallest details in design and in service. Paul made us Amish bacon that was to die for. We were smiling when we pulled up and frowning when we left because we didn't want to go home. Thanks for a wonderful time guys. What a place! Nestled in a quaint town of Dutch heritage, we thoroughly enjoyed this beautiful bed and breakfast. We were met by Paul upon our arrival. He gave us a tour to make sure we could take advantage of all the amenities including fresh baked goodies, a huge library of movies, home made hot chocolate, and pool. After that, he was around in case we needed anything but left us to our privacy as much as we wanted. Our room was beautiful and provided us with anything we could have desired for our romantic get-away. We slept well on the comfortable king bed with magnet mattress pad, had our choice of coffee, tea or hot chocolate in the room; there was a desk filled with any office supplies we could imagine, wireless internet, robes, in-room refrigerator. Cleanliness is important to us but we didn't find a speck of dust anywhere. The breakfasts were large and delicious and served by delightful staff. (Paul's bacon beats all.) We met Cheri later who is a delightful hostess. They were both very knowledgeable about things to do and places to eat in the area which helped us make the most of our time there. We spent a day in one of the towns on Lake Michigan and had a terrific meal in Grand Rapids. We had a wonderful time away and would heartily recommend this place to anyone as a perfect place to have a wonderful getaway. Once again, we had a wonderful stay at Prairieside Suites. What a treat! Found Prairieside online while looking for an Anniversary getaway near Grandville. The webpage pictures do not do it justice. Prairieside was beautiful and incredibly peaceful. Stayed in the Tuscan Villa...cozy and serene...just what we were looking for. Loved the huge in-room jacuzzi, European double shower, comfy bed, delicious breakfast and the little extra touches that made our stay perfect. Definitely will spread the word in the Muskegon area about Prairieside B & B. Thank you for the wonderful experience! We have never stayed at a B&B before. We had good weather and enjoyed our day trips to Saugatuck/Douglas and Holland. Oval Beach near Saugatuck is a MUST SEE. The couples massage was great here at Prairieside. We have great memories of our time in the French Riviera, love the room and decor! The Spanish Hacienda was clean and beautiful, we liked the decor and homey feeling. My husband chose a B&B over another lodging alternative because he wanted something different for my 50th birthday. Breakfast was very delicious and our room was very quiet. Their friendly staff helped you if you needed them but otherwise left you alone. Great, first time stay at a B&B. No complaints. Rooms were better than ANY Hotel we have stayed at. Amazing Experience!! Thank you. Such a beautiful place. It was our first time at a B&B and it was amazing. The staff, food & experience was the best! Thank you for such a wonderful stay. The location was convenient. The room was amazing. The bed was comfy. The breakfast was very enjoyable and we had good company. Prairieside Suites has beautiful rooms and delicious food. The "Southern Mansion", guest room, was a step out of the daily grind. Our stay was very relaxing. It was a really nice clean place to stay. We stayed in the Tuscan Villa on our honeymoon and it was simply gorgeous! The service was very friendly and felt like a second home. Very personable! I had a terrible experience! I have a gift certificate for $248.00 that now I have determined I cannot use! I tried to use it to book a reservation for one night, yet I was flatly refused the reservation. I then asked to get a refund and was told I agreed to the terms when I made the original reservation. So now the company has my money and will not let me make a reservation for a single night in April. I will let everyone I know how shady this company is! They should be a shamed of themselves! Closest to Heaven You Will Get! We will be back to Prairieside Suites, hopefully next year at this time! Outside of our cruise we took 9 years ago, this is the most relaxing getaway my husband and I have had! Cheri and Paul have created a home, not just a house! You will feel very welcomed and have everything you would ever want. I have thought very hard there is only two other things I could think they could do to the French Riviera Suite, add a stereo system with surround speakers in the room so you could hear the TV or radio in the hot tub better. This is after really thinking hard. There will be nothing you could want more. I would be afraid to go to another Bed and Breakfast, I don't think anyone can live up to my expectations other than Cheri and Paul! You will love Jan's cooking also. Cheri will talk about her angles that she has to help her and the whole staff are truly angels! Cheri thank you so much for helping Dave surprise me for our 20th anniversary! This is truly a 5 star place and you are only 20 mins. from the most romantic Lake in Michigan, Lake Michigan! Our stay couldn't have been more perfect. Cherie and Paul have found a way to create a romantic, relaxing, beautiful atmosphere. Everything was simply divine. The location was excellent, the amenities fantastic and the food outstanding. Cherie and Paul clearly put a tremendous amount of thought and love into creating Prairieside so their guests don't have to think about anything. We can't recommend them highly enough. Thank you, Cherie and Paul, for such an outstanding stay. This was our first time that we stayed at a B&B and we feel so spoiled. The room had a large jacuzzi, loved the large flat screen TV in our room. I have never used a jetted shower or heated towel bars and now I would like them at home. Breakfast was a delight each morning and the bed was so comfortable that I didn't want to get out of it. They have 7 more theme rooms all designed after a different part of the world...so I am already planning my next escape from reality! We had a wonderful couples massage each day we were there. The Spanish Hacienda and French Riviera rooms are on the same floor as the massage room. Amazing is the first word that comes to mind to describe our stay. This was our first stay at an Inn and we were celebrating our 19th Anniversary. Prairieside was the perfect place to stay. It was a quaint and quiet neighborhood that set the scene. We entered the property and were instantly welcomed into a very comfortable and homey environment. We walked through the house and were shown all of the amenities and then to our room. The room was amazing with its own two person hot tub. During our two night stay we greatly enjoyed the couples massage and the starlight swings in the garden swing. This stay was what we were hoping for and we are greatly impressed. We will be back. Every aspect of our stay was wonderful. The breakfast was delicious and everyone is very friendly. Our room, the French Riviera, was gorgeous and so clean. My husband and I wanted a getaway over Valentine's weekend but wanted to stay close to home. We stayed in the Southern Mansion suite. The room was romantic, comfortable and inviting. The room looks better than the pictures. We were very pleased with the room. Great customer service, very clean rooms and every detail was covered. Prairieside Suites makes you feel like you're on a secluded romantic getaway somewhere far from home. We didn't want to leave! We can't wait to go back and this time, we'll stay for the entire weekend! Definitely worth the price. Thanks for your hospitality Sherri! Voted Top 10 Romantic Inns 2016 by iLoveInns.com Arrington's Inn Traveler Magazine, (Fall/Winter 2006), Voted "Best of the Great Lakes" (2008-2009), Voted "Best in The Midwest" (2007 - 2008 & 2009-2010), Arrington's 2006 Book of List Voted 3rd "Best Overall Bed & Breakfast" in North America.